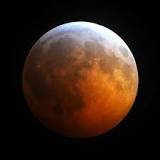 The National Space Research and Development Agency NASRDA, says Nigeria will experience a Lunar Eclipse on Sept. 28th. Lunar eclipse is an astronomical event that occurs when the earth comes in-between the sun and the moon, and the earth casts its shadow on the moon, so that the moon appears reddish. A statement by the agency which was signed and released yesterday September 9th by the Deputy Director. Media and Corporate Communications, Felix Ale, says the lunar eclipse would begin on Monday September 28th from 1:11am, and will be at its maximum by 3:47 am, with its final contact at 6:22am.